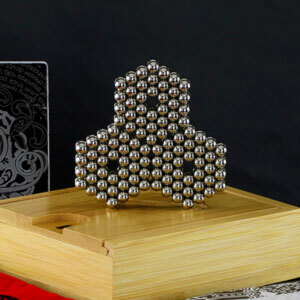 Zen Magnets are small but curiously strong rare earth super-magnets, 5mm ± 0.01mm in diameter. How powerful? 8 Times more powerful than the ceramic magnets driving your speakers. 30 Times more powerful than the average fridge magnet. Ultra high tolerance offers unparalleled formation rigidity and consistency of use. Pull them into a chain, fold them into a fabric, and meld them into limitless shapes: both abstract and geometric, flat or 3D. 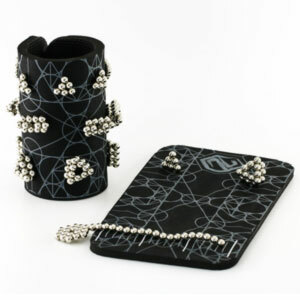 Use them when you need to massage your mind, practice your patience, relieve some boredom or alleviate some stress. All in stock except for Focus sets. Restocked early May. You’ll never put them down for good. 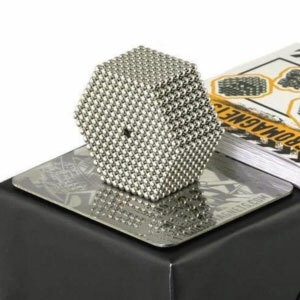 Zen Magnets are fun to play with, deeply addictive, and go well with deep breaths. Mindfulness may have health benefits. Intelligence required. Zen is not difficult, just free yourself from all incoming complications and hold your mind against them like a great iron wall. To receive lucidity, we must be willing to empty our cup, let go of our vain imaginings, become able to taste and appreciate a simple cup of tea. We do not sit before the Master trembling, thinking he has some kind of answer that will make our lives all right. Little by little we begin to realize that this cup of tea contains everything. 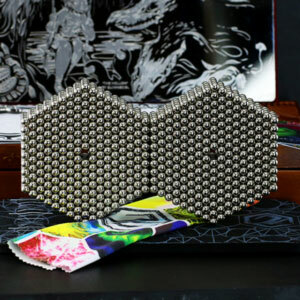 Copyright © 2009-2019 Zen Magnets LLC.